Though this might be bit shocking but he really does and that is a fact. He was greeting a crowd at the Australian War memorial in Canberra, where the British Army captain is starting a month-long assignment with the Australian Defence Force. This could be a trend or public service announcement and may be people follow what he says, because we never heard any high profile person or celebrity saying so. 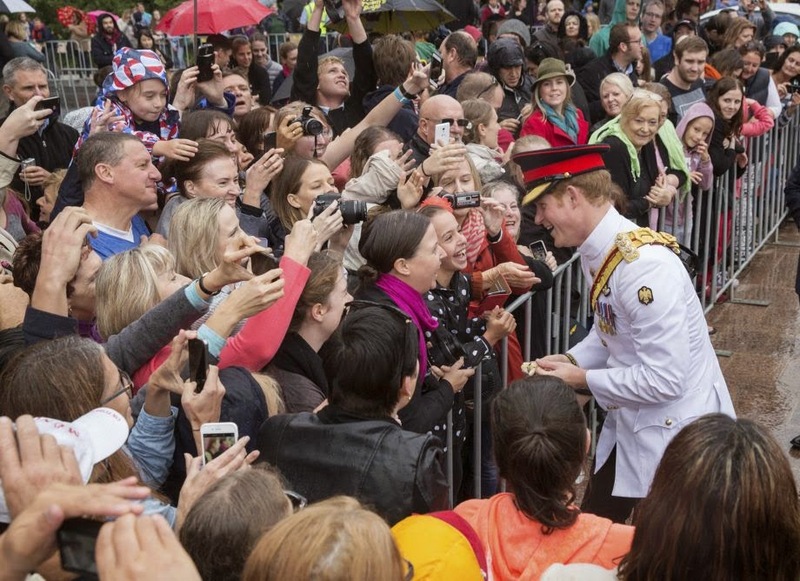 Before he got down to military business, Harry ignored light rain and cool weather to shake hands and chat with hundreds of cheering well-wishers who gathered at cordons to welcome him outside the Australian War Memorial. Perhaps because of his own history of embarrassing candid photos, he was less generous with teenagers who wanted to photograph themselves with him. He drew laughs when he urged one teen admirer to break the habit of taking "selfies."